Ecuador is a one-of-a-kind country where four worlds coexist in a unique way. 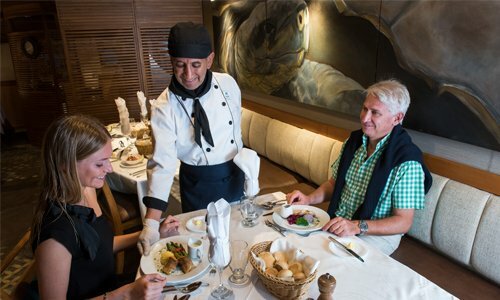 The Pacific Coast, the Andes, the Amazon region and the Galapagos Islands constitute Ecuador’s geography and cultural identity and make it, beyond any doubt, a destiny appropriate for every taste and a once-in-a-lifetime experience. Ecuador, a small country in South America with enough places to amuse and amaze any visitor. Come join us in this amazing experience getting to know corners that are unique on the planet with delicious cuisine, amazing landscapes, welcoming locals and a true traveler´s experience. It is our pleasure to have this opportunity to share with you an experience that will be unforgettable. Volcanic islands of pristine waters and stunning landscapes that are the home of plants and wildlife found nowhere else on the planet with a Natural Heritage Site status. Species that with their uniqueness and fascinating behavior inspired Charles Darwin with his renowned Theory of Evolution. The Galapagos Islands remain as one of the most scientifically and biologically prominent corners on Earth and can be visited in one of our luxury cruises: the M/V Galapagos Legend or the M/Y Coral I & II yachts. Amazing beaches, primeval mangroves, Pre-Columbian ceramic artifacts and hump-back whale watching are just a few of the options in Ecuador´s coastal region. Enjoy unforgettable activities, step into a world full of magic at the edge of the Pacific Ocean. Vast landscapes surrounded by majestic, snow-capped mountain ranges and volcanoes rising well over 5,000 meters (16,000 feet) above sea level. Paint unforgettable sceneries, the perfect set-up for the getaway of your lifetime. By far the most accessible and unspoiled rainforest on the planet. Ecuadorís Amazon region presents an array of National Parks and Biological Reserves holding the highest biodiversity per square meter in the world. We offer multiple tour options: from jungle treks to canoe rides, following trails between massive ancient trees and rivers weaving through breathtaking biodiversity and exceptional wildlife.